Tamiya surprised everyone with their announcement of the TB04 Pro. The TB03 had never really taken off, and it seemed like it might have been the end of that series of Club based shaft drive cars with the TT02 being the only shaft car being produced by Tamiya. 40t Bevel oil filled gear differentials. Shaft drive cars are much less common in racing, most cars follow the dual belt design, but at any club you will still get racers who lament their demise, talking about how awesome their TC3's or TB Evo's used to be, and coveting articles of the Awesomatix, a bold innovative RC car with a price that matches its name. So lets take a closer look and see if the TB04 has what it needs to start to establish a new wave of shaft driven cars for the modern age. As you open the box, you get all of the parts marked up and bagged ready to be opened as you reach the relevant stage in the manual. I personally like to separate out the screws into little pots of the same size to make the build process easier. One thing to note is that this is a 'PRO' kit and the screws are of the cross head type, and let me tell you that there is a huge amount of screws in this kit.. I purchased a set of stainless steel hex screws from rpc racing. The set has most of the std sizes although it doesn't include the 3x15mm and 3X18mm screws. IMPORTANT - The instructions below are slightly different to some of the printed ones. Looking at the chassis, and after hearing from some of my buds in Japan, some people were getting alignment issues with the drive train, making it a bit notchy, and also in some examples they were stripping or skipping gears. The following build steps will alleviate that and ensure you have a smoother build. Tamiya themselves will be changing the manuals going forward to be more like this, but if you have a first run TB04 pro or TB04 La Ferrari then you will want to do the initial stages in the order shown here not in the manual. Classic world championship winning suspension arms. The TB04 uses the same short reversible suspension arms as seen on all the high-end TRF cars such as the TRF417 series. The arms are not made of the same carbon re-enforced plastic, but instead with a slightly softer plastic which is common with the TA05ms, FF03's TA06, XV01-TC's and other club level racing chassis. TIP - I would recommend you look at moving over to aluminium shims at some point as although the plastic ones will be fine, they will wear out at some point. 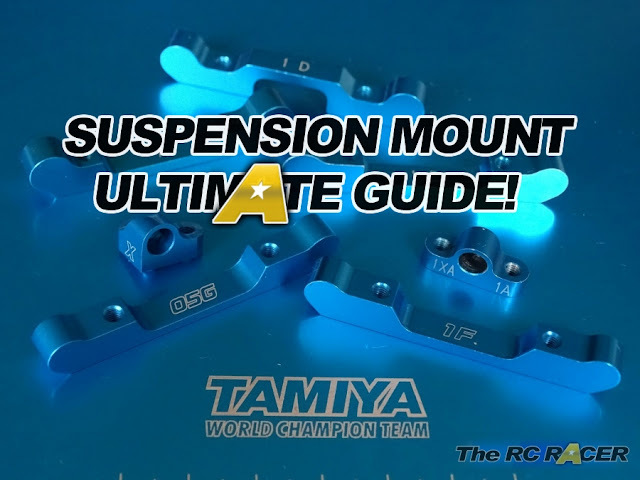 I would get 53539 Tamiya 5.5mm Aluminium Spacer Set as this contains a range of the most common shims for suspension arm settings and also for setting your roll centres. TIP - A very common mistake with these arms is to build them both being the same side up, as the arms are reversable you dont want to do this or you will have suspension geometry that is not symmetrical. When you are finished you must have one arm with the D marking facing up, and the other without. Else you have made a mistake. Do not ever ream out the arms. This will create slop. Before we fit the mounts lets take a look at the TB04 chassis tub. Its made again of a stiff glass reenforced plastic and the underside is smooth with the edges raised to help stop scrubbing corner speed. Also as you can see the rear has a hole so you are able to fit a transponder under the chassis when racing. This is a great little touch and it shows Tamiya's intention for this chassis as a firm club racer. The suspension mounts included in the kit are plastic, with the std setting of 1XA in the front rear and 1D in the rear. You can fit the Tamiya aluminium ones, although for this build I will fit the included ones as I want to have an accurate track test. I quickly fitted the arms and they didn't have any slop and moved freely under their own weight. Note one of the screws with the Thread lock holding it in the motor plate. The rear Transmission box do not fit it to the chassis yet but later on. Next up we want to add the lower rear bulkhead. Tamiya has gone with trend and introduced a new oil filled gear differential for the TB04. They have the benefit of being much more reliable (Theoretically) than the ball differentials they replaced. I have raced a large amount of the TB series cars and the ball differentials were always a little bit of a problem, even on the last iteration the TB-EVO5MS the ball diffs needed a lot of servicing. I was very keen to try these diffs and see how they perform. Preparing to build the diff. To build these diffs I replaced 850 size metal bushings with ball bearings (You will need 4). I also decided to use 'Tamiya 42259 Gear Diff O-Rings instead of the black ones included in the kit. I know these are very effective on my other cars so I just choose to fit them whilst building at this stage. Both of these are not necessary. There is also a TB04 hop-up 54533 TB04 gear diff cross shaft, this replaces the plastic shafts in the kit with low friction coated aluminium shafts that will be stronger than the kit parts. These were not available at the time of this review so I just went with the kit part. Once you have all of the parts ready, you just want to check there is no flashing on the spur gears. just cut off any of the excess with a sharp blade. You do not need to sand these bevel gears. Next up I fitted the shim and the pin. This is a tricky job and a set of tweezers really help. I used the Tamiya Shims this time instead of the TDX ones I normally use as they have improved them and made them wider so I thought I would give them a test. I used the 0.3mm shim on both sides, I thought it was too tight with the additional 0.1mm on each side. Next up, you have to pop on the GV2 bevel gear, and make up the spider bevels for the main diff. The spider gear is fine, and the plastic strong but it would be smoother with the steel cross joint. As mentioned before the cross shaft is plastic in this kit. I was cool with that on the TT02, however on the TB04, a car aimed squarely at the club I would have preferred these to be like the std metal parts in a TRF diff. Now its time to fill the diff with the oil. I used 1.5k in the front, and put 500,000cst in the front diff. I popped them in my Shock pump to get any air bubbles out and topped them up. You want to fill the oil to the top of the cross joint, not to the top of the gears. Slap on the green slime, I would add more than this to be sure. Now its time to do the top part of the diffs whilst waiting for the oil to settle. Again be liberal with the green slime and slap it on the holes and all around the inner-outer edge of the diff cap, before popping on the gasket and the top bevel gear. Now lets pop these together. You now need to screw the diff together, you have 4 hex-head 2x8mm screws that you need to attach in a cross pattern to ensure you do not make a warped diff. The combination of these screws and the hard plastic of the diff really is quite a slog and its best to take your time. You then have to attach the 40t main Ring gear to the diff.. again more of these screws, so take your time. Once assembled you just need to fit the bearings and the shims.. (And take a break to rest your hands). The first part is for the rear gearbox Pilot shaft that will be linked to the transmission case. Its a nice easy assembly, you just need to take your time. The only tricky part is the E-Clip..but using a pair of long nose pliers helps. The Spur adaptor can fit any 4-hole type spur gears. I fitted a rw racing 0.64 pitch spur. Next up is the spur assembly. Just take your time and ensure you add the shims listed in the manual (Adding too many makes the assembled transmission too tight, and not putting them in will make the gears slip. This stage is very important. This chassis will benefit from everything being aligned properly, and all plastic chassis will have some tweak, so add the stiffeners at this stage to ensure that the chassis is as straight and as stiff as it can be to ensure that you have the best installation platform for your transmission and rear gearboxes. TIP - When assembling these you can push down on a flat surface to try to eliminate as much tweak as possible. Its not an easy job so if you have some clamps that can help. Its not necessary but every little helps. Now its time to make up the rear transmission shaft. Its easy to assemble, make sure you fit the right shaft (2x9.8mm). Then ensure it is central and screw in the grub screw with a dab of thread lock to ensure it stays in place, avoiding a potential gear box failure. Now its time to fit the transmission case together, the shafts all fit perfectly into the casing although it is best to check that they move smoothly when fitted in the case. The manual shows to add ceramic grease but I d do not think its worth it as it just adds drag to the gears. Here you fit the rear diff and rear pilot shaft. They all fit easily and smoothly into the lower chassis bulkhead. The manual settings fit the ball joints on the inner hole, this is actually quite difficult to fit as most wrenches will rub against the bulkhead. TIP - For ease of installation I would look at using a hex head 5mm ball joint as it will be much easier to install. The rear axles all fit together well. Surprisingly for a 'Pro' kit the rear end does not have universals but instead has std drive cups and dog bones. Whilst it is not critical to have these in the rear of a club racer, it does feel strange to not have these in a Pro kit. Once you have built the axles you need to fit them to the chassis. I opted to use some aluminium 3x0.5mm shims for the rear hubs instead of the plastic ones in the kit. When fitting the hubs, just check that once installed that they fall under their own weight to ensure your suspension will be able to react perfectly. Here we want to fit the front mounts. The kit comes with two suspension mounts both 1A. The instructions tell you to file the inner front mount. It looks like it would potentially bind the arms on full lock. You can see above how much I removed of each side of the mount. As the blocks were plastic I simply sanded them down the above amount. Stage 12,13 & 14 - Front arms, fitting and lower bulkhead. I fitted the arms as instructed and ensured they were shimmed correctly. Then fitted the lower front bulkhead. The TB04 has a ball raced steering rack. 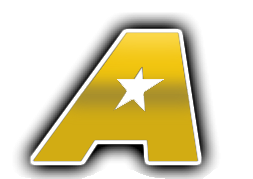 The new design ensures that its low down and it allows you to be able to adjust the Ackerman. The plastics are good, and being Tamiya there are some blue bling versions that you can buy at a later date. I found that it all fitted together well. I did add just a couple of 0.1mm shims to take out some horizontal lift to reduce any potential slop. Nice and easy, you have to fit a pair of bearings into the chassis (They fit in snuggly, no movement) and then rest the shafts into the bearing and lower on the steering rack. You then place the other pair of bearings in the top of the rack and you have your steering ready. Despite the indents, you dont fit E-Clips onto the top of the rack. You need to hold it steady when you get to Stage 18 (Front stiffener). First we have to assemble the Front pilot shaft, just ensure you have the right shims fitted. Once built you have to glue a spring into the end of the shaft. I used Shoe Goo, I liberally dolloped some on the end of the spring and placed it into the end of the cup in the position above to let it take hold. Having the spring allows you to easily remove the centre prop shaft. The benefit of this is to ensure you can easily see into the transmission of the car when setting your motor and pinion. After 10 minutes I fitted the pilot shaft and the front gear diff into the bulkhead. Checked everything was smooth (Didn't add any grease) and then fitted the top of the bulkhead. Stage 18 - Front stiffener. Fit this on to hold the steering rack in place, and also try to hold the chassis down on a flat surface to ensure tweak is kept to a minimum. Its time to make the front axles. These are universal joints, and the Tamiya ones are easily one of the best designs out there. The axle ring design ensures that they stay together at all times. When building them always ensure that the ring is in the position above for each arm when moving the wheels forward. TB04 part on the left, more caster, stronger and a larger hole to accommodate Double cardan drive shafts. After the axles are finished, you need to work on the front hubs and uprights. The C-Hubs are a new design and provide 6 degrees of caster as opposed to 4 degrees on the std reversible suspension hubs. This will reduce the front bite when steering and make the car less twitchy than with the std 4 degrees. (I'm going to try a set of these 6 degree hubs on the 417v5 as well). I then assembled the hubs as shown. TIP - I found that there was a little too much slop for my liking on the steering hinge pins so I added a 3x0.7mm shim on top of the upright on both axles. The final axle moved freely, the trick here is to not over-tighten the screws as it can bend the C hub. Just a case of adding the turnbuckles and shafts. As can be seen from this shot the 6 degrees of caster is quite pronounced. Stage 21 - Fitting the prop shaft. Time to add the blue prop shaft, its made from lightweight aluminium. You just need to place it in the front cup, push back the shaft against the spring and position it to fit into the rear cup. TRF shocks still the best available. The shock that come with the kit are Tamiya TRF shocks. These adjustable aluminium shocks are renowned as the best out there, and its testament to their design that you will see flashes of blue on many a different anodised chassis. The shocks are very easy to assemble, I used the kit supplied oil (400 cst) and build them with zero rebound. The result is a very smooth moving shock. These shocks are the first TRF low profile versions. They are 4mm shorter than the standard TRF shocks, however they have saved this by reducing the upper cap size. This is a good thing as a lot of low profile shocks require you to use smaller springs. Many drivers have shunned them as they didn't like the way the cars handle with smaller springs. The TRF shocks allow you to use your current springs and also have the full rebound stroke of a std TRF shock. The TB04 pro has some 3mm carbon towers included with 9 positions to adjust the shock tops. The mounts fit onto a plastic holder that then attaches onto the bulkhead. This is the same as the TB03 and it works well. One thing that is best to avoid is the Tamiya Hop up parts that replace the plastic (A17) part with an aluminium one. They put a lot of weight higher up in the car which you want to avoid. The TB04 has a motor spacer that needs to be fitted to ensure that everything fits well. The spacer has some brass fittings that fit in the spacer to stop any warping of the plastic mount. I dipped them in the AW grease to make them stick in the mount as they were quite fiddly. One of the things mentioned on forums is that the spacer can limit the size of the pinion you add to the motor as it does get in the way. This is only going to be an issue if racing 17.5 blinky and chasing a FDR of less than 4.00. With the spacer on I was able to fit a 43t 64dp pinion, if you take of the spacer and just use the brass tubes you can run a larger pinion (I had a 47t on hand and was able to fit that as a test). One of the main benefits of the transverse mount is that it is much easier to match your pinion to your spur than the normal shaft drive layout. (Especially as you can pop out the prop shaft to get a good look). When installed you just need to fit the battery. Here you can fit some of the padded tape to stop the lipo moving around. I installed mine as above to keep the lipo towards the middle of the car. With the car ready I took it to my local club night to test it out. I fitted a Blitz G35 to the car as I always find it a very neutral shell, as I was interested to see how the chassis would handle out of the box. After the new set of Sorex 28jb's were fitted to the car I took it out for a few installation laps. Initial feeling was that the car was very precise on the steering but the car seemed to lag on acceleration. I was a little confused how this was happening as shaft drive cars should really be very punchy on acceleration. I checked to see if everything along the drive train was ok an it was. I tried it again and the car still felt sluggish. I then checked the ESC and discovered it was on its way out. I quickly swapped in a spare ESC and took the car out and it was rocketing away on acceleration. I quickly adjusted the ride height (5.5mm all around) as it was rubbing the carpet, and changed the front spring to Tamiya Blue and moved out the front shock to make the front end a little stiffer and waited for the first race. The First race went well. I was racing a new car though so I drove cautiously and tried to just learn the car's nuances as I experienced it's first proper race. The car was really good in the infield section, the tight mid speed corners just seemed to be eaten up by the car, although on the faster corners the car did feel unsettled. For the second race I made a few more adjustments. I moved the rear shocks in one and the front shocks further out, and I also changed the roll centre by adding 0.5mm to the front inner bulkheads. The car was more settled, but the rear could be a bit better when powering from the apex. It was time for the final race of the evening. (I missed one messing about with settings). I moved the rear turnbuckle to the number 3 position and added a 0.5mm shim to it. checking the rear camber was at 2degrees. As we lined up for the grid I had placed 4th on the A-grid (although 2 laps down). On the buzzer I hit the throttle and the shaft drive proved its worth as I charged up to get to the inside of the second place driver by the first corner. We battled around the corner, but I had the inside line and stood firm and came out of the corner chasing the leading driver. The car was handling really well, and the new tyres were starting to also come good. I felt confident racing the car despite it only being its third proper race. the car was really charging and I slowly worked upon chasing the lead. The car was solid and although I managed to chase throughout the race I made one mistake that cost me a precious few seconds and would put me in a difficult position to catch up. I was comfortably in second place now so I just enjoyed the drive and tried to push the car closer to the apex in pursuit of the fastest lap and waiting for the opportunity to seize the lead if there were any incidents ahead. I crossed the line in second place, 4 seconds down from the winner and on the same lap. I also managed to get the fastest lap (by a tenth of a second). A solid result and I was encouraged by the car but I felt that there are some tuning aids that I would like if I was to really challenge with this car. The main one being a roll bar kit, as I think there is more speed to be gained in the corners. The TB04 pro is a nice club car, there are a lot of racers who want a shaft driven car that can be competitive and there are not a lot of alternatives out there unless you want an old design (Associated TC4), entry level (Tamiya TT02) or have deep pockets (Awesomatix). The TB04 really does stand out as a viable car to get. Great review and I agree the manufacturer's just follow the trends in racing and belt cars are popular as some of the issues with shaft cars were not addressed and instead just follow the herd. I agree the TB-04 with its improvements make it an ideal club racer. With modern electrics like brushless motors and Lipo batteries, less maintenance is key in a world where people are very busy/distracted. Hi, I have a TB04pro built and running. Is it normal that the drive train is noisy? At speeds, it's not. It only gets noisier on 1/4 throttle. I've checked everything and I can't find any binding on the transmission. Im using kimbrough 48p spur and xenon pinions. The drive train will be a little more noisy than a belt drive car as the drive train has more gears. However I dont think mine is in any way excessively loud, although I used 64dp gears in mine. I would do the following to check. 1 - Remove the pinion and push the car on a surface, does it run freely and smoothly? The wheels should spin for a few seconds, then gently hold the wheels and turn them to ensure their is no binding. If there is some binding, then inspect that area and recheck it. 2 - Check the pinion / spur are clean. 48dp can be really noisy when a little bit of dirt is in there. Then also check the spur is not in any way damaged. The other thing to do is to ensure that you do not mesh them too tightly. You should have a little bit of movement on the spur's rotation (Backlash) to ensure that it is not too tight, as this will give you a noisy and inefficient drive train. how much it weights race ready? My car is quite heavy, it weighs 1423g. There are a few things you can do to lighten the car such as Titanium screws etc, however I have not looked fully into this yet. Hi You can just email RPC racing for a screw kit. Also the TB04 pro is a limited edition version of the TB04 as it has lots of goodies with it that the standard one does not have. The TB04 will be continued for some time so you will be fine. The car is very good, any questions feel free to ask. ...anyway I need some advice on batteries... will a 10,000 mAh battery not fit down with the stock provision? I presume it is better to break your mAh's into smaller packs but I don't want to be changing batteries all the time. Thanks for your help in advance! I would not get those batteries as they are soft case and they are not really suitable for cars as they can puncture in an accident and will ignite! After doing some more online research I have also heard that this batter is really good. Possibly superior to the Turnigy? Are we expecting the TB-04 Pro II to be that expensive? Additionally some people are saying that the Pro II will come with the 418's arms... Are they that much better? The arms are a cheap upgrade from the std Tb04. All pro kits are limited editions, there have been numerous versions of the TA06-R with revised add ons. The version 2 will be a similar price (Probably a little more expensive) mainly because of the rear Aluminium universals. The cost of the hubs / arms are the same as the reverse suspension parts that are included in the original kit. I have raced my TB04 with the 418 suspension parts, I did not feel any significant difference, so went back to the original parts, the car felt more responsive with the original arms (Although I didn't do many set-up changes). I think the TB04 pro 2 will be $30 more than the original version. Aluminum universal shafts: < $40 ? So MSRP is $434 according to the post but I've read in the forums that the street price is sometimes a couple hundred less... Can they really offer all that kit for $250?